A tough, cold hardy and spectacular Rockrose in bloom. 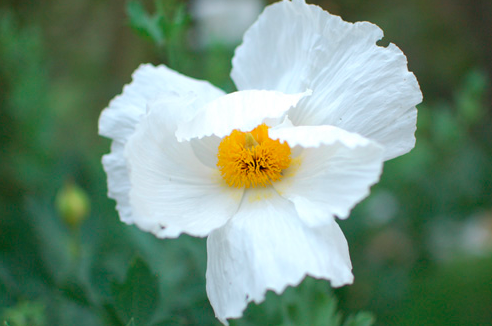 Gray foliage is a great backdrop to the huge (3″) pure white flowers with a central zone of yellow stamens. The flowers appear daily but en mass for weeks in April to early June. Moderate growing evergray shrub to 3′ x 5′ in any well drained soil. Extremely drought adapted and requires NO supplemental irrigation when established. Avoid overly enriched soils which will lead to rank growth and quite a bit less cold hardiness. At our wholesale nursery this wonderful shrub has not suffered cold damage down to 5ºF. Lean conditions increase hardiness. Hellstrips, low water garden sections. Hot dry biomes. 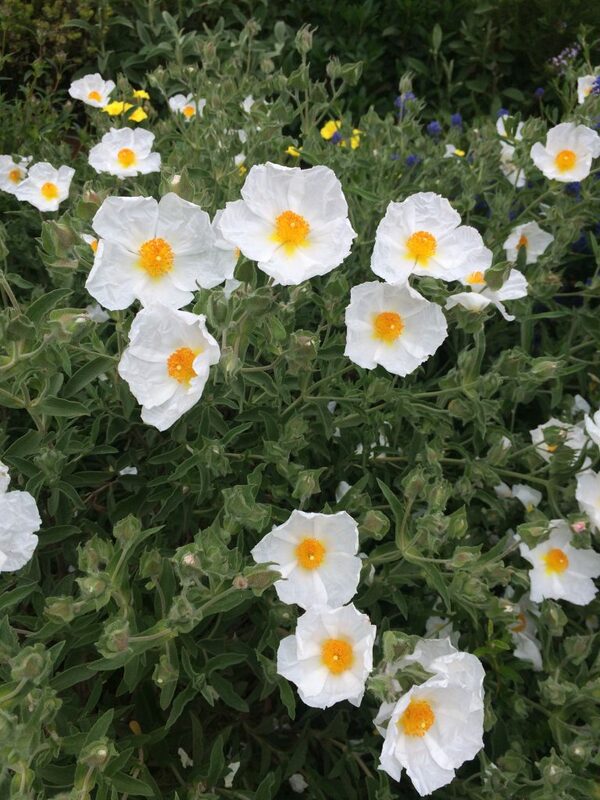 A great rockrose.